Life Update: 30 Before 30! Since it's just been my 25th birthday, I thought now would be a great time to do a review on my 30 before 30 list! I'm not actually expecting to be able to cross much off since I only created my list a few months ago but oh well! I did also cheat a bit by crossing out/changing a few of these as they related to my ex and obviously we're not together anymore so I can't do them anymore! Awkward! 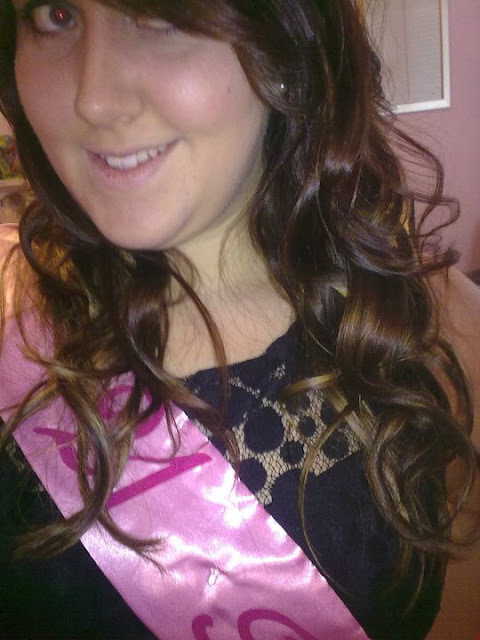 This is me from my 21st Birthday! I'd like to say that I'm quite close to finishing a few of these or have plans to accomplish a few of these in the next few months! I did however get my first tattoo which is such a big thing for me and I'm still super excited about! Aw this is such a great list! Hope you achieve them. Keep going, and good luck with all your goals. 25th birthday? Girl you look young! What a brill idea! I might have to do this at some point. I want to visit some more UK cities too. I have not been up North much at all so I think that's what i'll be doing. Hello there, Happy Belated Birthday to you! Your 30 before 30 list is great! I love no.1 ;) NYC is a special special place! 2, 9, 11, 13, 14, 15, 16, 24, 27 - YES! I can relate, girlie. Wow you look much younger. I hope you had a great birthday. Lovely blog Btw.